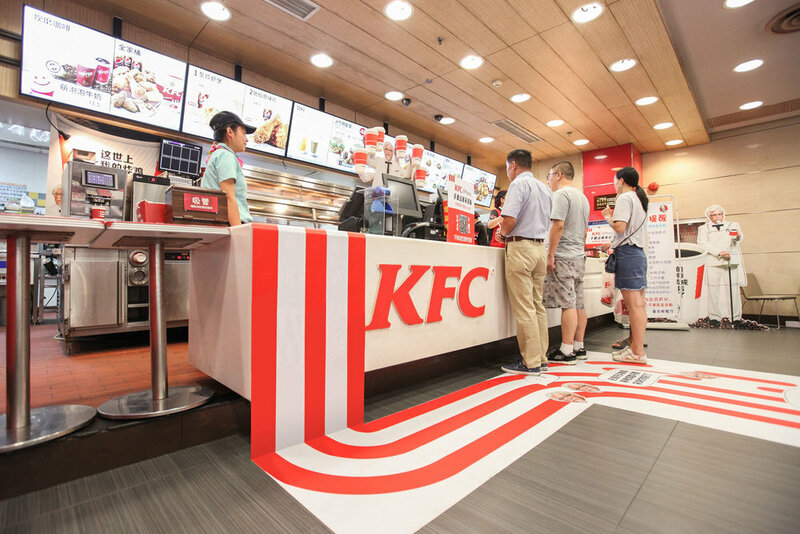 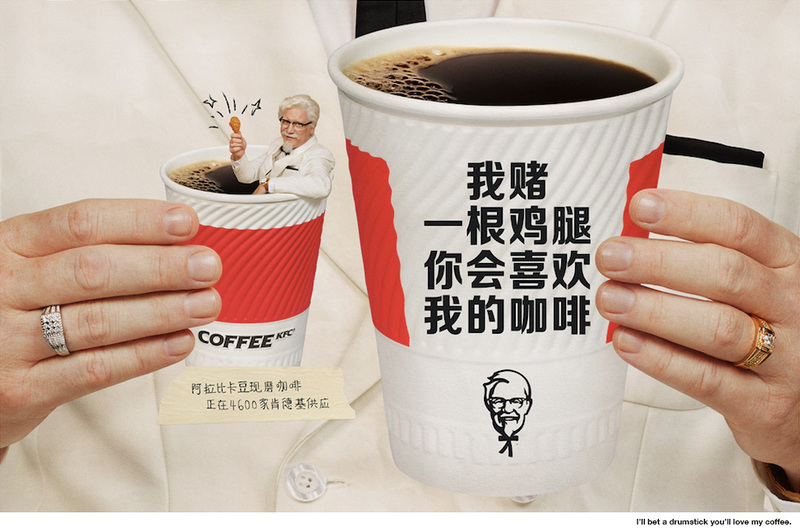 In China, people love KFC fried chicken, but they don't know about KFC's freshly brewed Aribica coffee and when KFC wants to be the number one coffee seller in China, thats a problem. 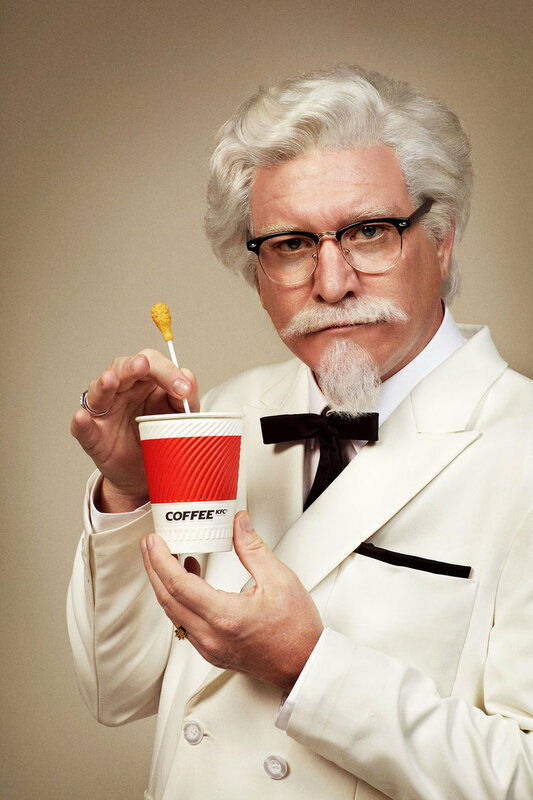 So we built a campaign to let The Colonel re-introduce himself, his coffee, and his brand new coffee 'buckets' to the people. 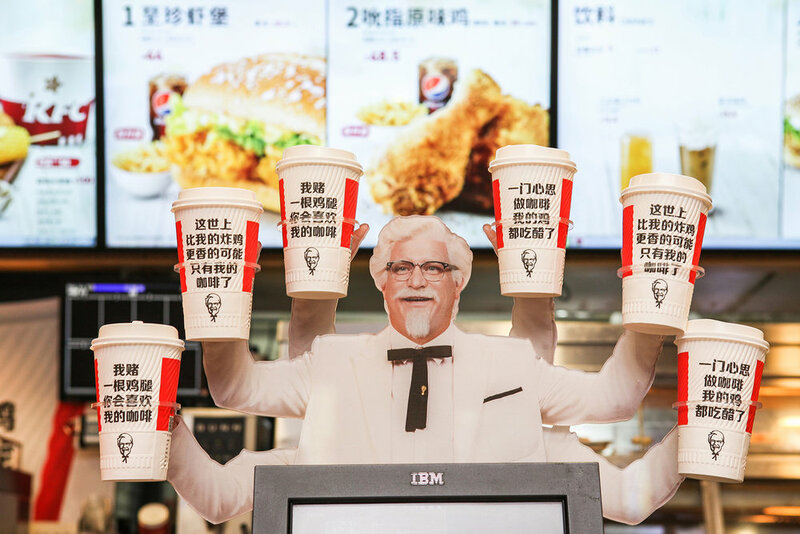 The film launch on the 30th anniversary of KFC in China so we brought the Colonel back with a Kentucky bluegrass musical that hijacked one of China’s most recognizable folk songs. 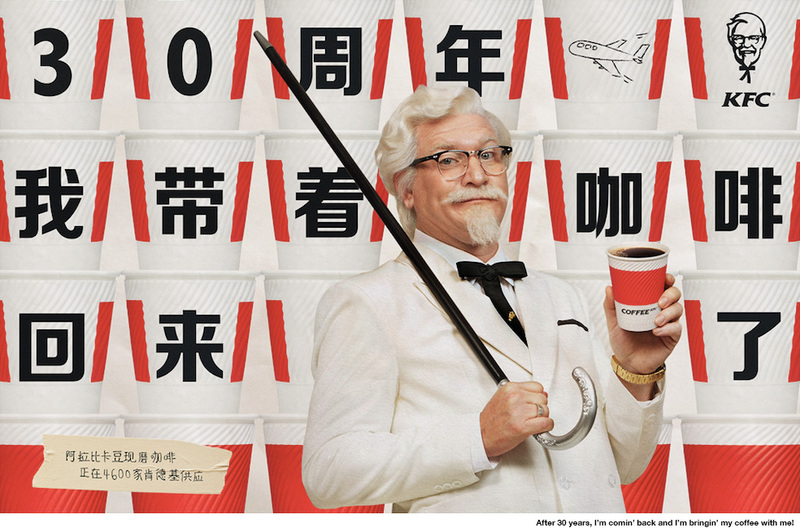 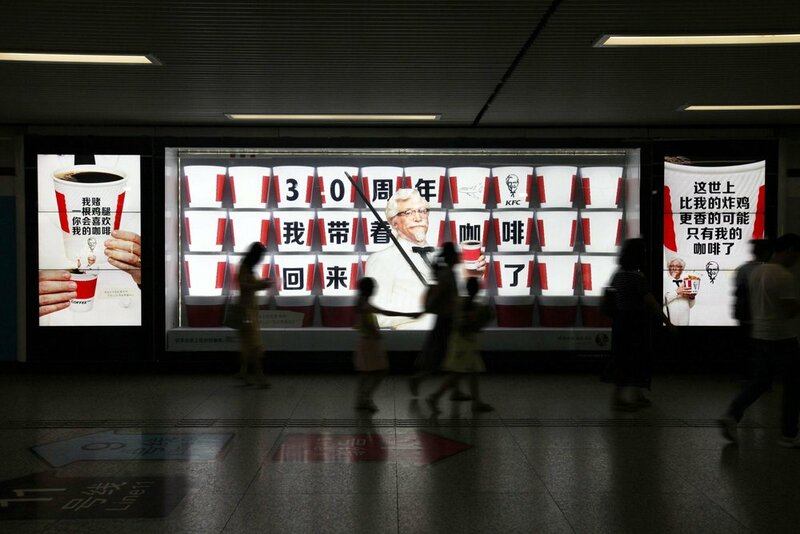 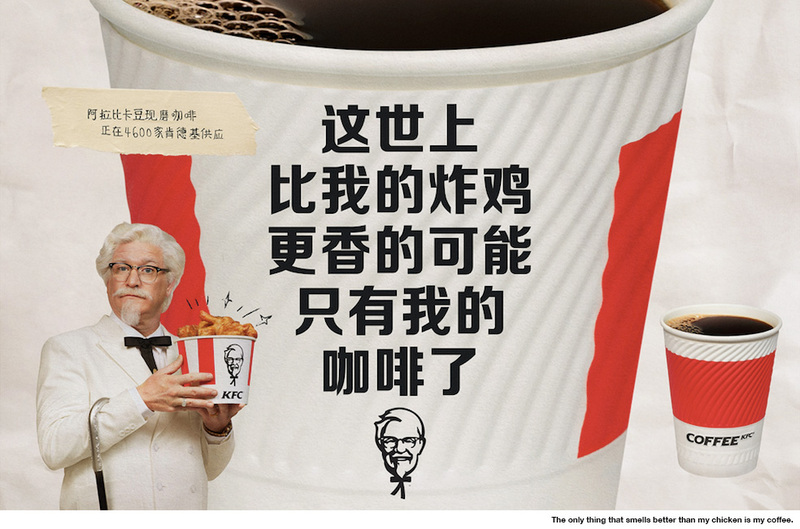 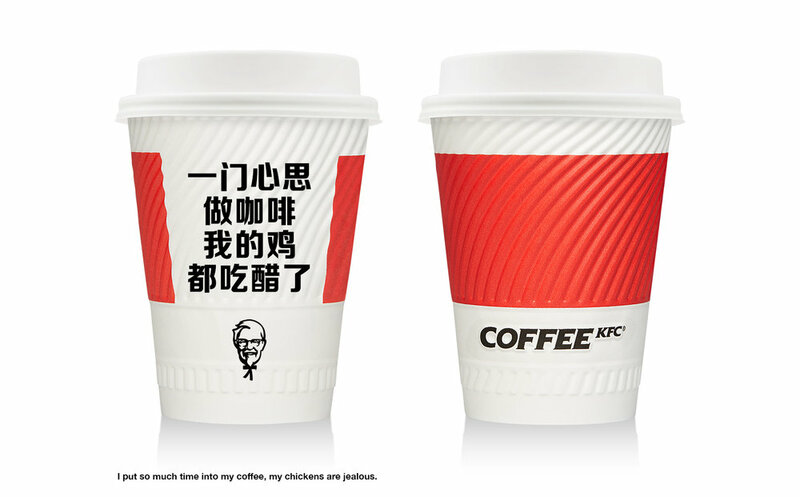 In addition to the film we did a massive OOH campaign taking over subway stations irreverent messages from the colonel printed on his new coffee bucket, these were also made into fun GIFs for WeChat. 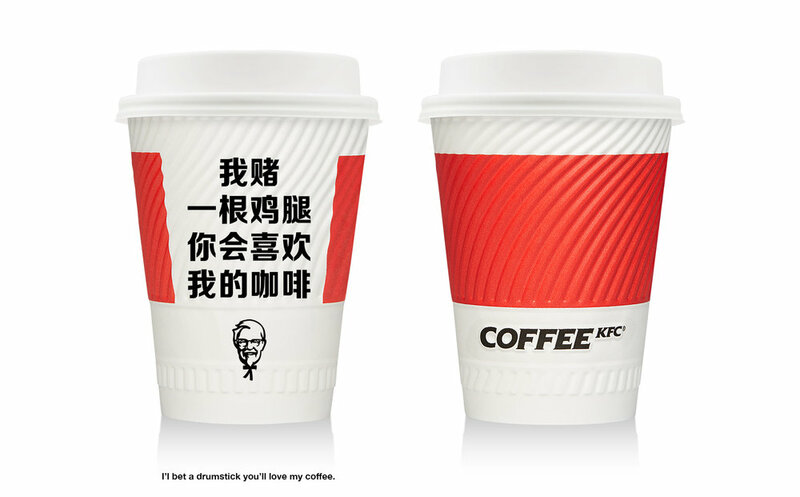 Maybe that's three words but in-store they let us turn their coffee cups into coffee "buckets" emblazoned with our messages from the colonel, complete with drumstick stir-sticks and a dedicated coffee lane and register, in effect setting up a KFC coffee shop inside their existing chicken selling stores. 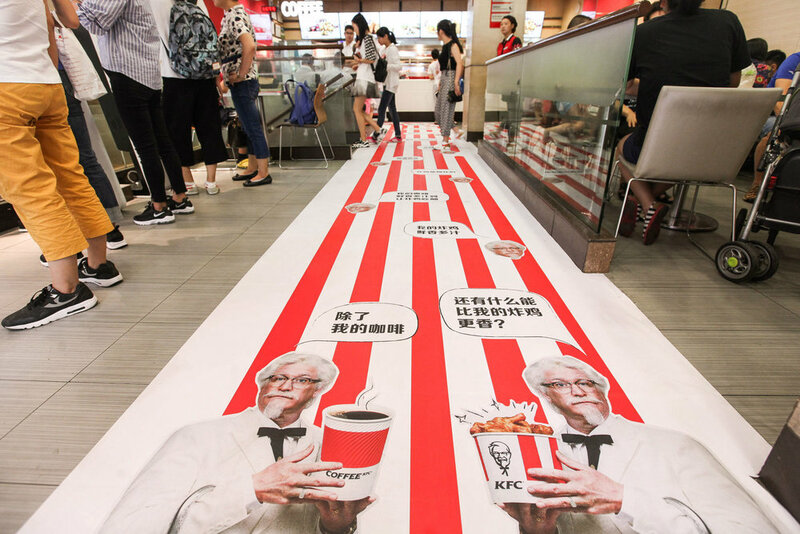 This was huge and got coffee customers in and out in record time and turned each new coffee convert into a walking advertisement.